Every day is an opportunity to start something amazing. Water makes that amazing beginning happen. We have pacefully reached the climax of this Lemon Water Detox series. It’s been a fun ride. We’ve laughed, cried, pulled out our hair (just kidding), and learned a lot from each other. We want the best for you and we believe in you. You’re ready to master this initiation step into the world of vitality and purity of life. Alkalinize your body first thing in the morning with the perfect ‘good morning drink’. CAN YOU RECALL SOME ALKALIZING MIRACLES OF LEMON WATER? 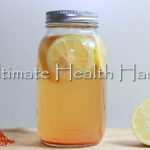 The acidic properties of the lemon water hydrates your body first thing in the morning and leaves alkaline ash all throguthout your body, stabilizing PH and heightening your body’s energetic and meatbolic functions. You’ll feel like a million bucks and might not even need your old friend Cup-o-Joe so early in the morning. Feels good not to depend on caffeine to be alive, doesn’t it? The alkalizing properties of lemon kills bad bacteria in your mouth and gut, making your breath smell fresh and healthy like a stiff breeze in the forest. It also helps relieve toothaches and gingivitis. Lemon water in the morning helps you eliminate the waste products from the body. It helps prevent digestive roblems like constipation and diarrhea. The juice of lemons encourages healthy digestion by loosening toxins in your gut. It also helps to relieve symptoms of indigestion such as heartburn, burping and bloating. Lemons contain pectin fiber, which assists in fighting hunger cravings, thus minimizing your sugar intake. It also boosts your metabolism, re-training it to burn fats more. The high levels of potassium in lemons help regulate the functions of the brain, nerves, and blood pressure. Lemon water also diminishes stress and depression. Urine and sweat are your body’s way of purging bodily toxins and waste. Lemon water just so happens to be a diuretic, meaning it makes you want to go pee-pee. And pee-pee is your best friend when it comes to eliminating the toxins that are making you feel sick, tired, and overweight. Alkalize your body with this simple life hack. 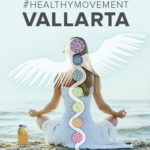 Courtesy of your Puerto Vallarta Medical Center & Spa. Want to know how to do it? 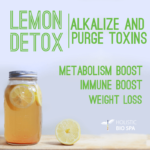 Watch the video tutorial that shows the simplicity and benefits of drinking alkalizing lemon water for holistic health in just 2 minutes. The journey IS the destination. The secret is in enjoying the journey and drinking lemon water every morning (or every other morning). Drinking deliciously healthy lemon water in the mornings will bolster your ongoing determination to love and care for your body the way you deserve.